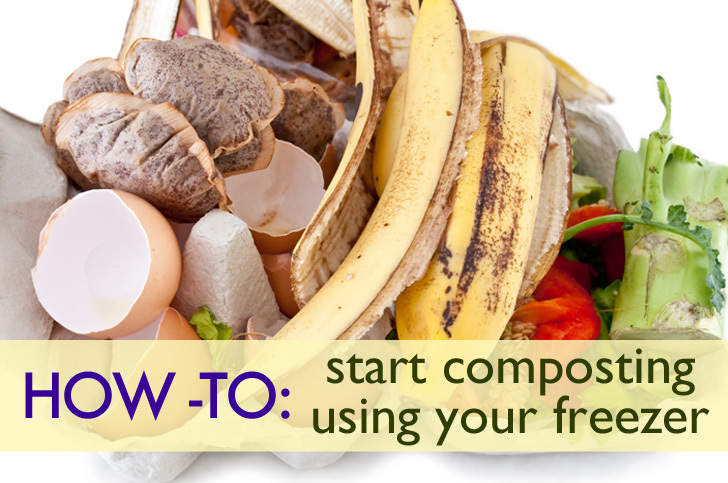 Are you saddened by the act of tossing out scraps of food when you know they could be more useful as compost? If you live in the city or a small space, it can be a struggle to get a compost going. A kitchen with bacteria, fungi or worm-filled containers will most likely not sit well with your roommates or significant other, and the typical city balcony or fire-escape often doesn't leave much space for anything more than a couple of plants — that is, if you're even lucky enough to have that space to claim as your own. While gadgets like the Naturemill will provide a great solution to these woes, if you're on a budget and can't afford to drop $300 (or don't even have the space for it if you could), then you might want to consider freezer composting. Read ahead for a few handy tips on how you can get in on the composting movement, conveniently and without odors, using your freezer. If you’re new to the game, composting is the process of creating an environment in which organic materials can decompose rapidly to create material that is rich in plant nutrients and mixable with growing soil. Compost helps improve a soil’s texture, helps it retain water, promotes healthy root growth, can ward of pests and can mitigate diseases in plants. Adding compost to a garden, lawn or potted plants can help them flourish beautifully over time. The answer to this is probably obvious: choose a container that will fit inside your freezer. However, it doesn’t really stop there. 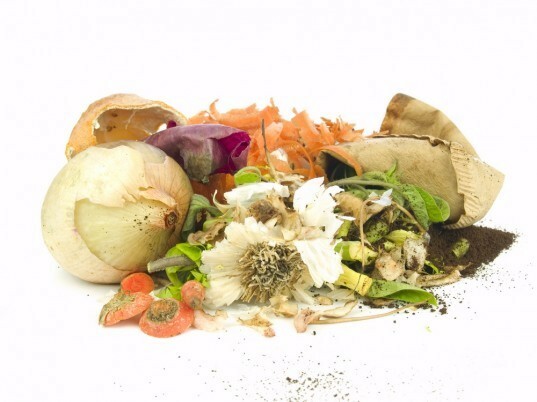 Since it is likely you’ll be dropping off your organic scraps every week or maybe every two, it’s also important to consider how much organic waste in generated by your household on a weekly basis and choose your storage container accordingly. As an individual who consumes mostly fruits and veggies, I’ve found that I produce a little more than 1.5 quarts of scraps a week. I’ve started using a 3-quart compost bin and I typically need to empty it out after 2 weeks (I also work from home, which means I’m probably producing more scraps in-house than someone who goes to an office everyday). 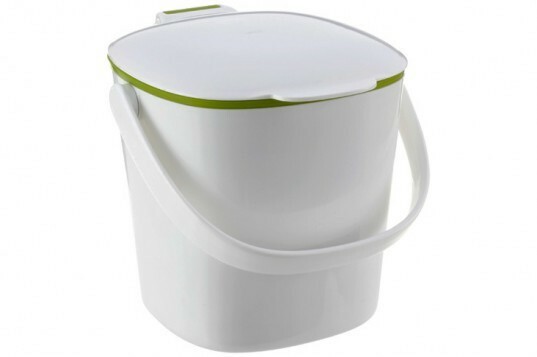 The sturdy handle also makes it easy to carry to my green market and dump out the contents without needing to transfer it to a bag. With that said, lining your container is another handy step to take. This will get your scraps to slip right out of your container when you need to drop them off. Amazon sells biodegradable composting bags, but I’ve found that lining my bin with a little newspaper or a paper bag from the grocery store works just as well — and it’s one less thing I have to buy. In addition to doing your part, an added bonus to all of this is that by storing your scraps you’ll be able to better monitor how much food is wasted in your home and if you’re buying in excess. Researchers recently found that between 30 to 50 percent of all food produced — or up to two billion tons — is thrown away each year! If you find yourself throwing out more organics than you eat in a week, it’s time to scale back on how much you purchase at the grocery store. While things like a whole apple or pineapple will decompose given enough time, you can certainly help speed along the process by chopping up your compostable materials before you stick them into the freezer. The smaller the particle size the easier it will be for your friendly decomposers to feast on later. Smaller pieces of waste will also provide for a more even distribution of air and moisture among the materials during decomposition, making for better compost. Cooking oil or greasy foods: All of this stuff smells like food to animals and insects and can effect the moisture of the compost. Meat and dairy products: More pest magnets you don’t want to introduce into a compost pile. Diseased plants: You absolutely do not want to transfer fungi or bacteria to the food or plants that end up growing in the compost. It is a better idea to just trash them. Weeds: Plants such as dandelions and ivy will probably find a loving home in the compost pile rather than decompose. Heavily coated or printed paper: Recycle them instead. The chemicals used in printing can compromise the compost. Sawdust: If you’re considering this, you need to make sure that the wood was all-natural and not treated in any way. Feces and personal hygiene products: Doing this will create a health risk and potentially spread disease. COMPOSTABLE ITEMS: Acceptable materials include fruit and vegetable scraps, non-greasy food scraps (rice, pasta, bread, cereal etc. ), coffee grounds and filters, tea bags, egg and nut shells, pits, cut or dried flowers, houseplants and potting soil. Until the rest of the USA takes a cue from San Francisco’s mandatory composting initiative, finding a place to drop off your composting scraps may take a bit of sleuthing depending on where you live. Composting programs are going mainstream, so you hopefully won’t have much trouble finding one close to your home. Most green and farmer’s markets these days will take on your organic waste free of charge, and another option is to drop it off with someone you know who is already composting, such as a friend, family member or an individual at a community garden. First, what is compost? If you're new to the game, composting is the process of creating an environment in which organic materials can decompose rapidly to create material that is rich in plant nutrients and mixable with growing soil. Compost helps improve a soil's texture, helps it retain water, promotes healthy root growth, can ward of pests and can mitigate diseases in plants. Adding compost to a garden, lawn or potted plants can help them flourish beautifully over time. 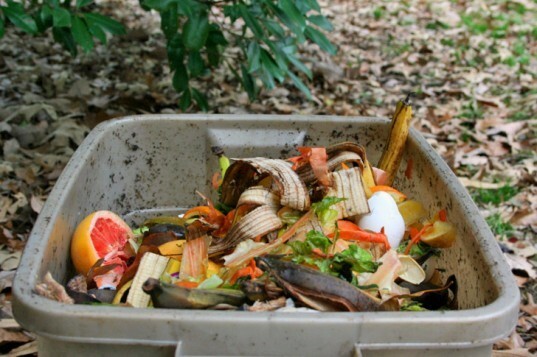 Chopping up your scraps While things like a whole apple or pineapple will decompose given enough time, you can certainly help speed along the process by chopping up your compostable materials before you stick them into the freezer. The smaller the particle size the easier it will be for your friendly decomposers to feast on later. Smaller pieces of waste will also provide for a more even distribution of air and moisture among the materials during decomposition, making for better compost. Choosing your container The answer to this is probably obvious: Choose a container that will fit inside your freezer. However, it doesn't really stop there. Since it is likely you'll be dropping off your organic scraps every week or maybe every two, it's also important to consider how much organic waste in generated by your household on a weekly basis and choose your storage container accordingly. As an individual who consumes mostly fruits and veggies, I've found that I produce a little more than 1.5 quarts of scraps a week. I've started using this 3-quart compost bin and I typically need to empty it out after 2 weeks (I also work from home, which means I'm probably producing more scraps in-house than someone who goes to an office everyday). The sturdy handle also makes it easy to carry to my green market and dump out the contents without needing to transfer it to a bag. With that said, lining your container is another handy step to take. This will get your scraps to slip right out of your container when you need to drop them off. Amazon sells biodegradable composting bags, but I've found that lining my bin with a little newspaper or a paper bag from the grocery store works just as well — and it's one less thing I have to buy. In addition to doing your part, an added bonus to all of this is that storing your scraps is that you'll be able to better monitor how much food is wasted in your home and if you're buying in excess. 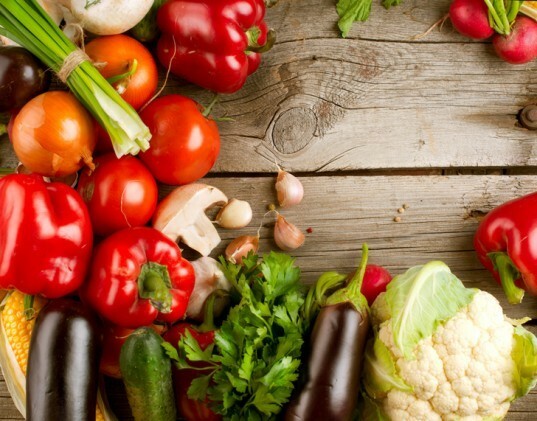 Researchers recently found that between 30 to 50 percent of all food produced — or up to two billion tons — is thrown away each year! If you find yourself throwing out more organics than you eat in a week, it's time to scale back on how much you purchase at the grocery store. Cooking oil or greasy foods: This stuff smells like food to animals and insects and can effect the moisture of the compost. Meat and dairy products: More pest magnets you don't want to introduce into a compost pile. Sawdust: If you're considering this, you need to make sure that the wood is all-natural and not treated in any way. Finding a place to drop off your compost Until the rest of the USA takes a cue from San Francisco's mandatory composting initiative, finding a place to drop off your composting scraps may take a bit of sleuthing depending on where you live. Composting programs are going mainstream, so you hopefully won't have much trouble finding one close to your home. Most green and farmer's markets these days will take on your organic waste free of charge, and another option is to drop it off with someone you know who is already composting, such as a friend, family member or an individual at a community garden.